A very early variety, that is ready for picking just after mid August for eating from late August onwards. 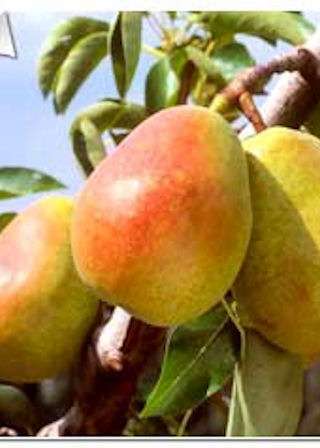 An easy to grow variety with compact, upright growth, producing yellow fruits with a slight flush. Very juicy, tender flesh, with a sweet flavour. Ideal pollinators include: Conference, Durondeau, Fertility, Williams, Beth etc. Dr Jules Guyot is, itself, a very good pollinator for other varieties.